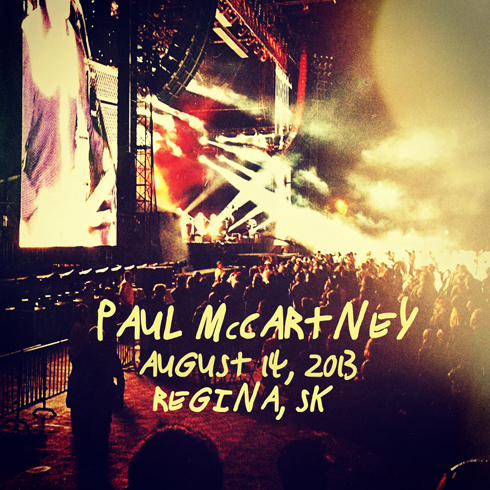 Attending the Paul McCartney concert on August 14 in Regina, Saskatchewan was nothing short of a dream come true for me. 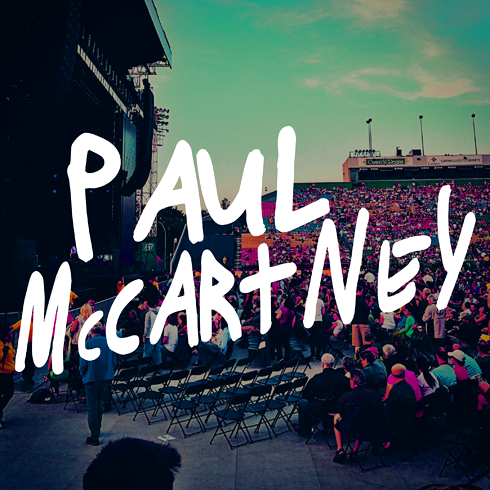 For years I've wanted to make it to one of McCartney's shows, and when it was announced this spring that he'd be coming to Regina for the first time, I knew this was my chance to make it happen. Thankfully, my friend Wendy was just as keen to share the experience with me. 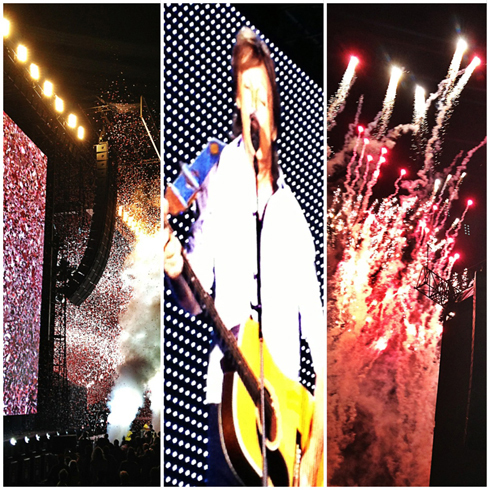 I've been an avid Beatles fan since my early teens, but with the Beatles heyday long before my time, I always viewed a Paul McCartney concert as the closest thing I could get to what one of the Fab 4's concerts would have been like. I bought tickets within minutes of them going on sale, and we ended up really close to the stage (albeit a side view - not that we minded). 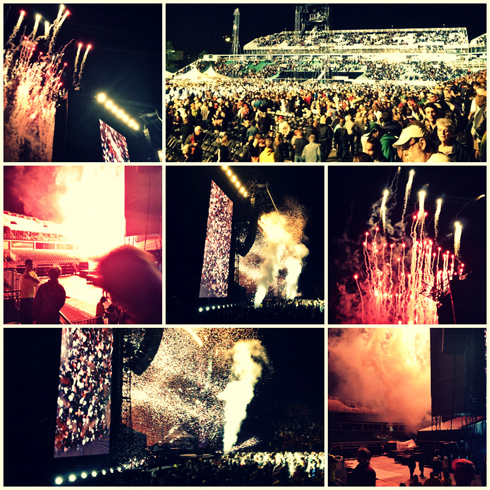 Our view of the concert was actually really good. 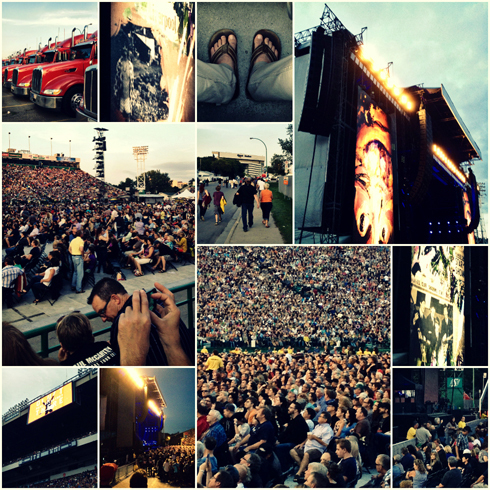 We were right next to one of the giant screens, we were close enough to actually see Paul in some detail, and our angle allowed us to casually observe the massive crowd - something that was especially enjoyable as Mosaic Stadium became a wash of glowing cell phone screens during renditions of Let it Be and Hey Jude. Throughout the concert I couldn't help but be reminded of my friend Dave, and how this concert was something that we would have gone to together before he passed away - much like we did when the Rolling Stones came to town. It was fitting then to go with Wendy (Dave's girlfriend) who was happy to reminisce and share her memories of Dave playing the chords to Blackbird (which we both remembered well). As Paul shared a story about the death of John Lennon before singing Here Today, I think Wendy and I both recognized what a profound moment it really was to be sitting in that stadium. It's an emotional experience to dream about doing something for so long and then finally having it happen. 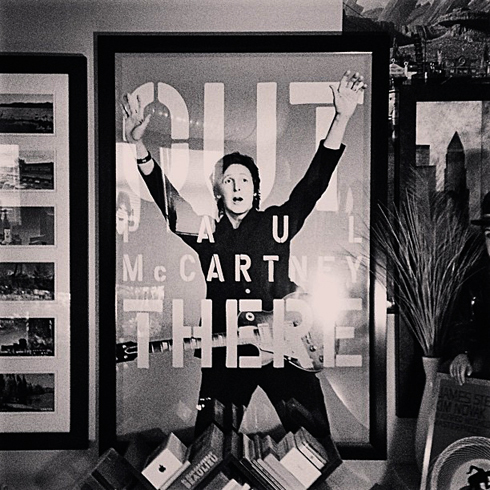 I don't think I felt this more than when McCartney started singing Hey Jude. Holding my phone to my chest to record while I belted out the lyrics along with the crowd was a truly euphoric moment for me. I kept my phone recording to try and capture the moment for later, but truth be told, I don't think I looked at the screen once during that performance. I was blissfully lost in the music by then. 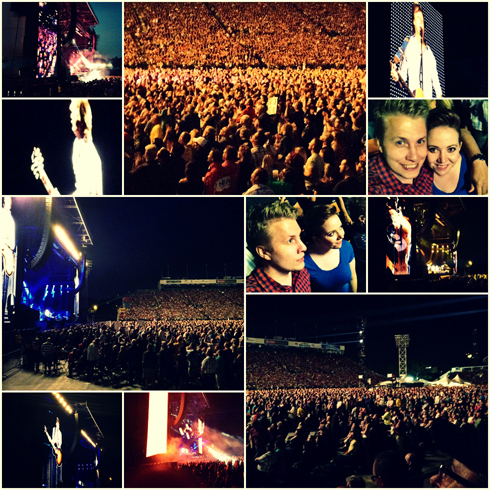 It was an amazing night, an incredible concert, and I couldn't have shared it with a better person. Having now crossed this off my bucket list, I know this is a memory we'll be talking about for years to come. I framed the poster I bought at the concert.